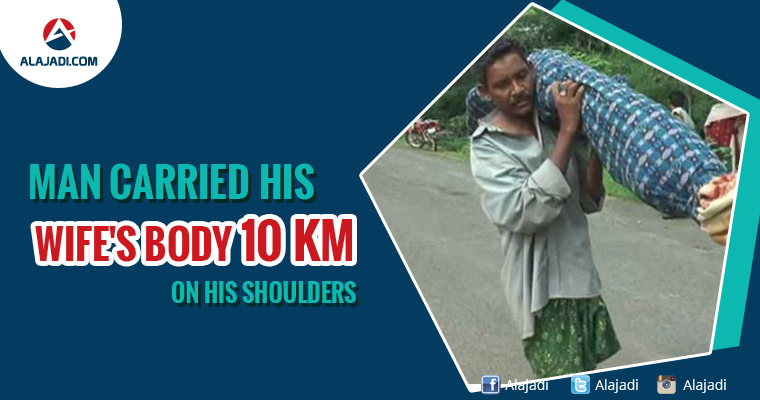 » This Man Carried His Wife’s Dead Body On His Shoulders for 10 KM. In one of India’s poorest districts in Odisha, a tribal man along with his 12-year-old daughter, on Wednesday, walked around 10 km carrying his wife’s body on his shoulder as he failed to get a vehicle to transport it from a government hospital in the backward district of Kalahandi where she died. Majhi had no vehicle to take home his wife’s body after she died of tuberculosis at a government hospital in Kalahandi, about 60 km from his village. So he wrapped his 42-year-old wife Amang Dei’s body in a sheet, hoisted it on his shoulder and began to walk home. His daughter walked by his side, holding a bag with their belongings, weeping. 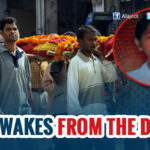 Majhi’s daughter accompanied him till some local reporters spotted the duo. They called up the District Collector and arranged for an ambulance for the remaining 50 km of the journey. The man asked the hospital authorities that I am a poor man and cannot afford a vehicle. Despite repeated requests, they said they cannot offer any help, but hospital management was refused to help.